Opportunity to connect with Home Buyers and Sellers in your local market area. Immediate contact information once you accept a lead. Join the 1,000+ real estate agents who have made over $50,000 using the HomeGain Agent Evaluator Lead Program. 1) Get notified when a buyer or seller is interested in your market area. 2) Choose which buyer and seller leads to claim. 3) Immediately get consumer contact information. 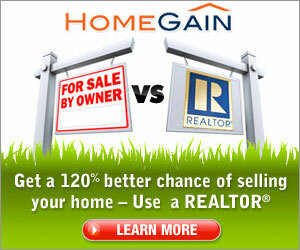 Millions of home buyers and home sellers visit HomeGain.com every day looking for REALTORSï¿½. Home buyers and sellers fill out a detailed profile including information about the type of home they'd like to buy or sell and what they are looking for in an agent. We provide these home buyer and seller profiles to you so that you may respond to show them why you are the right agent for them. HomeGain's quality traffic gathering capabilities provides you with a great source of quality leads. 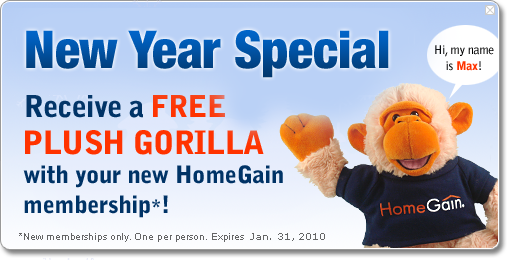 Each year HomeGain.com attracts millions of potential home buyers and sellers looking to connect with REALTORS®. HomeGain aggregates the best sources of traffic from around the web by conducting search engine marketing, affiliate marketing and traditional banner and radio advertising. HomeGain has been a leading real estate site for over twelve years and also draws a sizeable amount of organic traffic. HomeGain's quality traffic gathering capabilities provides you with a great source of quality leads. Members get access to a personal HomeGain coach to increase your success with the AgentEvaluator® Lead program. As a HomeGain member, you are eligible to be inducted into the elite AgentEvaluator® lead program club by reaching milestones in gross closed commissions from HomeGain leads. With HomeGain's high quality leads, we have found HomeGain to be instrumental in the growth of our business and look forward to a continued and prosperous relationship. They continue to deliver the best source of online leads for our team, and we feel fortunate to be part of their growth. Not only does HomeGain offer cutting edge technology but more importantly they focus on our needs of delivering superior leads and helping our business grow and grow. an account representative will contact you. By submitting your information, you agree to be contacted regarding real estate information, using email, telephone or text – including the use of autodialed and/or prerecorded calls or messages to the telephone number provided above, including your wireless number, if provided. I understand that consent is not a condition of purchase. Why does Eric Pakulla love AgentEvaluator®?